Million dollar Ocean and Bay views south-facing with green mountain views too. Main living on second level and two bedrooms & full bath on lower level with 2 car garage. Vaulted ceiling with open floor plan and propane stove (just bring in a new tank). 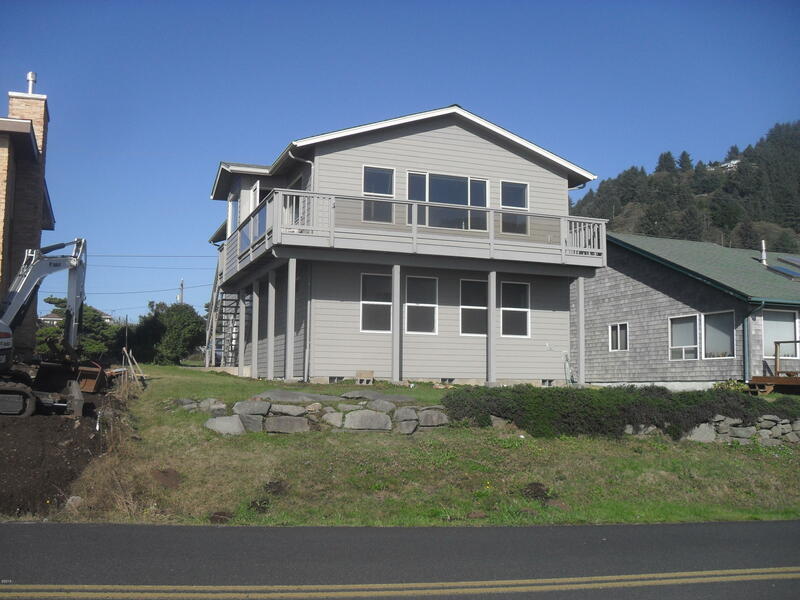 Well maintained home, within walking distance to all the unique amenities Yachats has to offer.